First Trailer for Guy Ritchie’s ‘Aladdin’ Teases a Whole New World! 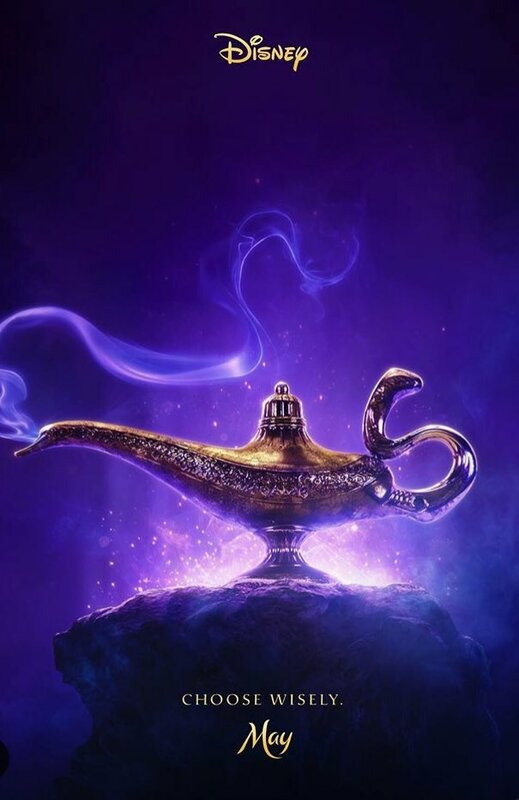 Following the reveal of the official teaser poster thanks to Will Smith, Disney has unveiled the first official trailer for their upcoming remake of Aladdin. Disney rapper Guy Ritchie (The Man from U.N.C.L.E., King Arthur: Legend of the Sword) to direct the live-action retelling of the classic story, which stars Mena Mossound in the title role, with Naomi Scott (Power Rangers) playing Jasmine and Will Smith taking over the role of Genie from the late, great Robin Williams. This teaser is exactly what I was expecting from a “first trailer.” If you remember the debut trailer for Beauty and the Beast, it was identical to the lay out of this one. It worked before, so why not do the same? This teaser has become a massive hit. Although the one thing we’ve been looking forward to the most is to see and hear Will Smith’s Genie, there’s something about a slow build that’s really special, especially when it comes to a property that is so near and dear to my heart. Many have questioned the moves and even idea behind this film, but I for one have become increasingly excited about it. Every film needs a star to headline the name, but Disney and Ritchie have done a phenomenal with casting. Not to say it was ever their intention or plan to do it, but they are far from white-washing these characters. They took their time and put together a cast that can bring this people and culture to life on screen. It’s a step outside of the norm we’ve been seeing with the Mouse House lately, and will also continue with their upcoming live-action remake of Mulan (which they also casted appropriately). All-in-all, this teaser did exactly what it was suppose to do and got me excited for the potential of this story in live-action. I’m a bit hesitant towards Ritchie as the director because of his style, but I’m completely open to the idea because of how much I enjoy him as a filmmaker. Hopefully it will continue Disney’s trend upwards with their live-action remakes. Watch the teaser below! What do you think of the trailer? Is it the perfect tease? Were you hoping to see more? Do you like the casting decisions they made? Also starring Marwan Kenzari as Jafar, Navid Negahban, Nasim Pedrad, Billy Magnussen and Numan Acar, Ritchie’s Aladdin will be released on May 24th, 2019. ‘Fantastic Beasts: The Crimes of Grindelwald’ Posters: Who Will Change the Future?